Following the Battlefield series return to the World Wars with Battlefield 1 in 2016, it only makes sense that the next game would bring the series back to World War II. This has me excited because World War II is my preferred setting for just about any shooter. And some may be thinking “But we just had Call of Duty return to WWII as well as some indie WWII games, why do we need another one? Why can’t we just go back to modern day?” Believe me when I say I was in your shoes just a couple of years ago. I got tired of games set in the boring modern era or near future and wanted to go back to the glory days of WWII shooters. Back to when I thought Call of Duty was actually good, Battlefield was still sort of new, Brothers in Arms was going strong, and Medal of Honor wasn’t a distant memory. 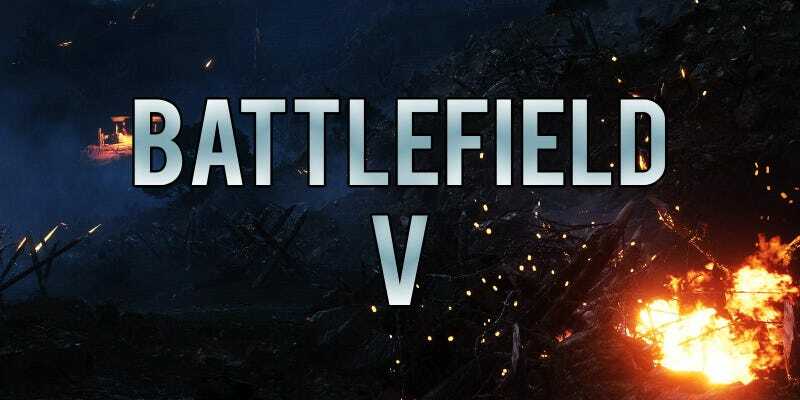 And now that we have gone back to the days of all out global warfare, I want to get the most out of it before it vanishes again, and Battlefield V has the potential to be the best of the new bunch. Battlefield 1, which turned the clock back to the Great War, also known as World War I, decided that rather than tell a story from just one perspective throughout, it would instead tell multiple stories. While you may not get particularly attached to any of the characters, it does exactly what it sets out to do: Tell the stories of men(and a woman) who fought on the various fronts of this global conflict. It gets across just how large this war actually was, and while the game may take some liberties with the setting, it still does a damn good job of portraying the hell that World War I was. Now, they can take the “War Stories” approach and apply it to WWII. Call of Duty: WWII already took the Band of Brothers route and a new Brothers in Arms from Gearbox is likely just around the corner(after 10 years. ), so rather than try and do the same thing, DICE should do what they did before and shine a spotlight on the entire war. There are many countries that were part of World War II. You obviously know America, Britain, Germany, Russia, and Japan, but you can’t forget that Italy(Axis) and Canada(Allies) were also a part of the war, and that yes, the French Resistance was a thing and has its own stories to tell. Europe and the Pacific were also not the only theatres, Africa was also a part of the conflict. Just like with World War I, DICE has so many places to visit and so many stories it can tell with World War II. And while at least two of those stories would likely end up featuring the American’s, it’s best to not leave any stones unturned when presenting the sheer scale and diversity of the war. My hope, of course, is that the stories are longer and not centered around just one event per story. The truth of the matter is that any people still living who were alive during World War II aren’t getting any younger. They’re getting up there in years and it won’t be long before all we have left are the stories they left behind and the lessons that were learned. It’s a good thing that we frequently remind ourselves of the past in any form, lest we forget it and become doomed to repeat it.